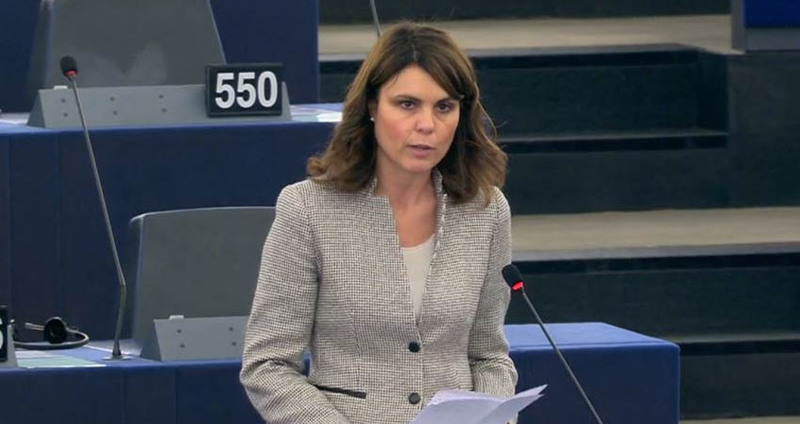 MEP Simona Bonafé presented the proposal for water reuse in Strasbourg. Plans with the intention to facilitate the reuse of treated wastewater for agricultural irrigation were adopted by the European Parliament on Tuesday the 12th of February. The proposal defines minimum quality standards for reclaimed water for agricultural irrigation. The Plenary rejected an amendment of the ENVI-committee that holds Waste Water Treatment Plants (WWTP’s) responsible for any contamination in reclaimed water. The draft legislation was adopted with 588 votes to 23 and 66 abstentions. Negotiations with EU ministers will start after the European Council sets its position. According to the Plenary vote operators will be responsible for the quality of reclaimed water until the point of delivery and only liable if the water does not comply with standards. Farmers need to be aware of the risks of using effluent on their crops and take adequate measures. The European Association of Public Water Operators Aqua Publica Europea is also positive about the endorsement of the Parliament, but they state the proposal still insufficiently acknowledges the importance of coordination between all actors. “With the ‘cost-recovery’ obligation it is mandatory for water operators to recover their costs through tariffs to promote sustainable use of water. Consequently, when water reuse implies new investments, a proper coordination of the processes by competent authorities prevents an unfair and unbalanced cost transfer to households’ water bills.” According to Aqua Publica Europea the text still needs to go further in adequately distributing responsibilities. European Commissioner Karmenu Vella of Environment, Maritime Affairs and Fisheries presented a proposal for regulation on minimum requirements for water reuse on the 28th of May 2018. The proposal distinguishes four quality classes of reclaimed water for different purposes. The ‘A’ water quality is the best and can be used in all food crops. Even if the edible part is in direct contact with reclaimed water. B and C can be used for fruit trees and for the production of food for animals. The lowest quality water ‘D’ can only be used for non-food purposes. In the current situation Waste Water Treatment Plants have to comply to the Urban Waste Water Directive and can only provide farmers or other users with standardized effluent. Due to this Directive reclamation plants are only capable of treating for discharge.